From Adelaide GPO - Go north on HWY A20 (Sturt HW) about 74 kms, pass the first and second signs pointing out Nuriootpa. The third sign says 'B19 Angaston/ Nuriootpa'. There is a Bridgestone Tyre Service Centre on the corner. Turn right down Murray Street about 200 m, then turn left into Kalimna Road and you find us on the left hand side, up about 100 metres. From Mildura/Blanchtown/Truro - Head south on on HWY A20 (Sturt HW) about 10 km south of Truro, turn left (into Murray Street) at the sign 'B19 Angasto/Nuriootpa'. There is a Bridgestone Tyre Service Centre on the corner. Go 200 m and turn left again into Kalimna Road and you find us on the left hand side of the street about 100 metres. The Barossa Gateway Motel is located at the northern gateway to the Barossa Valley, just off the Sturt Highway to the north of Nuriootpa township, at 7 Kalimna Road.The Barossa's original motel built back when the FJ Holden or Morris 1000 was your touring car and the chicko roll had just been invented. 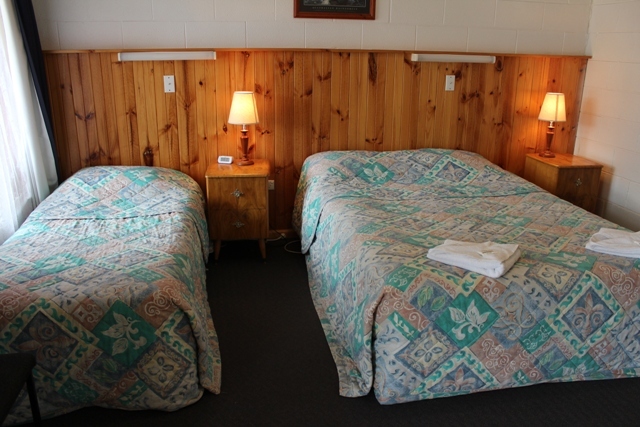 The Motel is well maintained and offers all the modern comforts and conveniences at an every day affordable price. Stay a day or stay a week in quiet peaceful surroundings in the heart of the Barossa wine district. 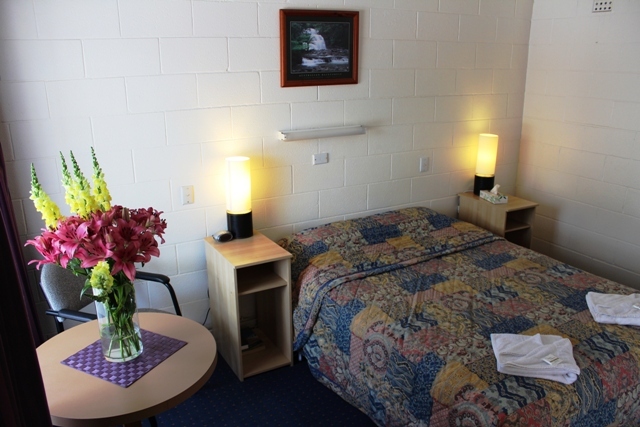 We are a small family run business providing basic rooms at an attractive rate. 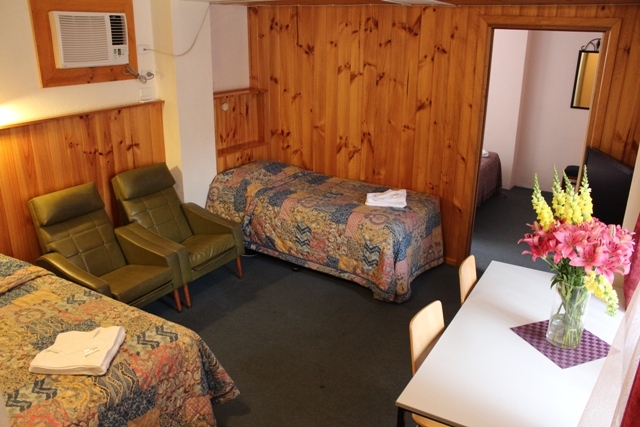 We have numerous room types accommodating two people up to four people. 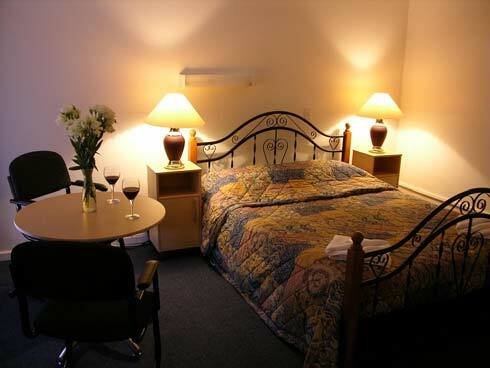 The Barossa Gateway Motel is a great place to rest your head after a long day travelling, or somewhere to base yourself when visiting the Barossa Valley. The rooms are equipped with ensuite bathroom, air conditioning/heating, toaster, microwave, tea and coffee making facilities, bar fridge and television. Free wifi is also available on site. Breakfast is available in our breakfast room starting at 8am (unless otherwise arranged). We are located a short distance from numerous wineries including Wolf Blass, a golf course and numerous eateries. Continental breakfast buffet available in the Breakfasr room at cost A$14 pp. There is a Queen size bed in one room and two single beds in the other room. A continental Breakfast buffet is available in the Breakfast room (@ A$14 pp). Kindly advise breakfast requirements on checking in. Cots are not available and no charge is made for infants with porta cots.